Of all of Europe's cruise regions, the Western Mediterranean offers the most of the most: arts and culture, surf and sand, cafe hopping and boutique shopping. 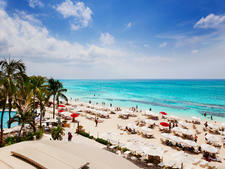 It encompasses the absolute best variety of sights, attractions and activities. Itineraries that sail the Western Mediterranean typically emphasize ports of call in Spain, France and Italy with a few interesting detours along the way. These could also include stops in Portugal (primarily Lisbon, though Porto is occasionally featured), Canary Islands, Morocco (Casablanca and Tangier), Tunis (La Goulette), Monte Carlo and Gibralter. Within these choices, however, actual ports of call vary wildly and can include everything from France's oh-so-chic Villefranche to Italy's open-air museum of Florence. Because the euro's value can fluctuate wildly against the U.S. dollar, it can be much cheaper to cruise to Europe than plan a land-based trip. 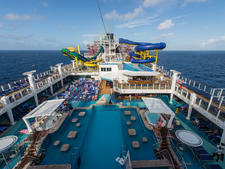 For value-conscious U.S. travelers, a cruise helps to soften the blow of big-ticket items like hotels and restaurants. It used to be that most Western Mediterranean cruises set sail during spring, summer and fall. These days, however, cruise lines are offering year-round programs in the region. Costa and MSC Cruises are two lines that sail year-round voyages, and, while Barcelona and Marseilles remain on itineraries, the ships often move farther south to Morocco and the Canary Islands (technically in the Atlantic) during the cooler months. Early spring and late fall sailings offer the advantage of more competitive fares, fewer crowds in port and more pleasant temperatures. Plus more things are open; Europeans notoriously take the entire month of August off, and many restaurants are closed in the middle of summer. Conversely, families might want to cruise from mid-June to mid-August, when ship's children's facilities are running at full speed (though fares may be pricier and ports most definitely will be more crowded, many with Europeans taking their own holidays). When sailing the Western Mediterranean, one of the toughest choices for cruise travelers can be ship size. Big ships tend to visit big ports -- the "greatest hits" of the Western Mediterranean destinations, such as Florence, Rome and Barcelona. Almost all major lines offer such sailings, including Celebrity, Holland America, Princess<?a>, Royal Caribbean and Disney. For a more European feel, consider cruising the region with a company based on the continent. Costa and MSC Cruises, both headquartered in Italy, offer shorter and often cheaper itineraries (as well as great pasta). British lines P&O, Thomson and Cunard have numerous sailings, while the German line Hapag-Lloyd provides the ultimate in luxury. Other luxury vessels, including Regent Seven Seas, Azamara, Crystal, Silversea, Oceania and Seabourn, also ply this region of the Med. Often, these voyages not only visit smaller ports like Portofino, Cannes and Capri, but they are longer in duration and also travel to the Eastern Mediterranean. Expedition ships that visit this well-trafficked region tend to be those that are heavy on culture, such as Voyages of Discovery. Cruisers in search of something different can opt for a yacht-style experience (SeaDream Yacht Club or Windstar) or an all-masted ship like those found in Star Clippers' fleet. Less than Seven Nights: Costa has typically been one of the few lines to offer Western Med cruises that are less than a week in length, with some sailings only lasting three days. 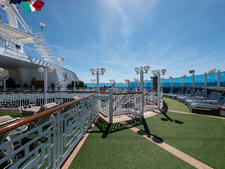 Embarkation is usually out of Genoa or Barcelona, with a stop in Marseilles, Mallorca, Corsica or Tunisia. 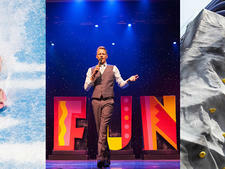 Disney, Royal Caribbean, Azamara and Oceania also have a few four- and five-night offerings. Expect less time in port and few, if any, sea days. 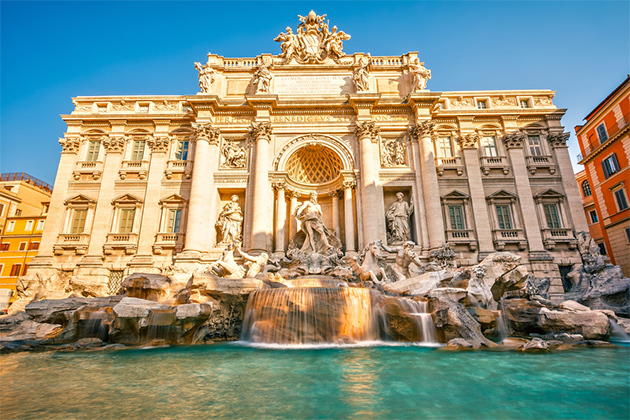 Seven to 12 Nights: The more typical Western Mediterranean cruises are between seven and 12 nights, leaving from major ports like Rome, Barcelona and Marseilles; Costa is an exception, with departures from Genoa and Palermo. On a cruise that long, expect to hit the highlights, plus have a day or two at sea. These itineraries can also include stops in the Canary Islands, Morocco and Tunisia. Western Mediterranean cruises also depart from U.K. ports, such as London's Harwich, Dover and Southampton. Caveat: One potential disadvantage to departing for a Western Mediterranean itinerary from one of the United Kingdom's three ports is that ships have to cross the Bay of Biscay, which can be smooth as glass or, well, not. Those folks worried at all about seasickness should definitely pack their remedies of choice. Eastern Mediterranean Combination: Particularly popular with luxury lines, this itinerary might leave from a port that more typically serves the Eastern Mediterranean -- such as Venice -- but include stops like Sicily, Rome and Florence in the Western Med. Other voyages traverse the entire length of the Med, from Barcelona to Athens. Transatlantic: For those who have the time, repositioning cruises sailing from the Med to the Caribbean (and vice versa) take place in shoulder months of April, May, September and October. These typically embark in Rome or Barcelona, making stops in Western Med ports, as well as the Canary Islands or Morocco before sailing to the Caribbean. Barcelona, Spain. The capital of Spain's Catalonia region is one of the country's -- maybe even Europe's -- most beautiful and vibrant places. 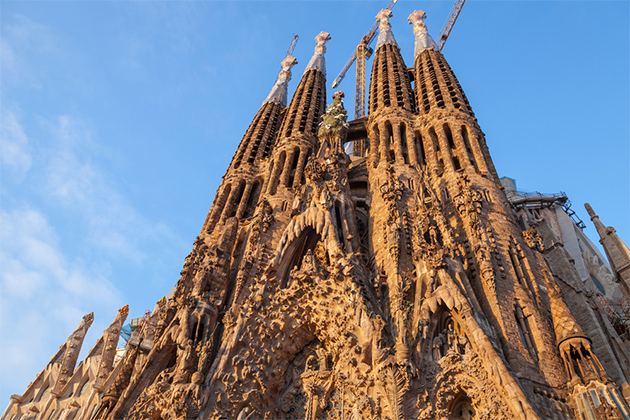 This is most evident in its architecture, a marriage of Gothic spikes and modern curves, thanks to homegrown architect Antoni Gaudi. (His church, Sagrada Familia, is a must-see.) The old city is the heart of everything, with museums, shopping and cafes. Don't miss a stroll along Las Ramblas, replete with produce and flower stands, a historic opera house and a thoroughly intriguing open pet market. 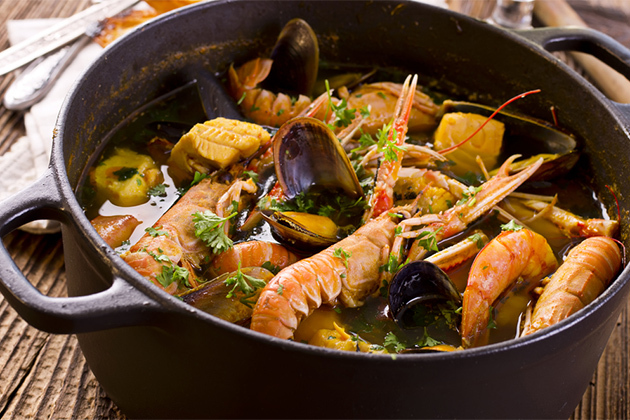 Then rest your feet over a few plates of tapas and an ice-cold pitcher of sangria. 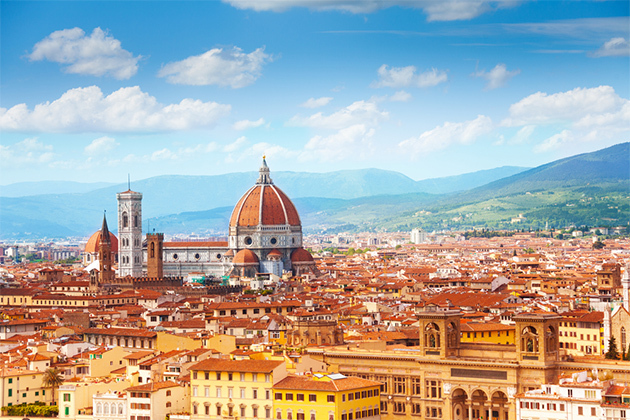 Florence, Italy.On any Western Mediterranean itinerary, Florence is an absolute highlight -- the gem of the early Italian Renaissance. In the 15th century, when great artists like Giotto, Ghiberti, Brunelleschi and Michelangelo worked there, they created magnificent examples of painting and sculpture that today still fill Florentine churches, civic buildings, grand palazzi and world-class museums like the Uffizi Gallery and the Accademia (where Michelangelo's David resides). Architecture prospered in Florence, too. Indeed, the city's signature work of art is the masterful Brunelleschi-designed dome of the city's cathedral, Santa Maria del Fiore, known as the Duomo. Naples and Sorrento, Italy. From Naples or Sorrento, most cruisers take off for Pompeii, an exciting place to explore an ancient city that was once buried by a volcano. You can see many of the artifacts removed from Pompeii at the archaeological museum in Naples before re-energizing with one of the city's famed pizzas. Or use the port as a gateway to the glorious Amalfi coast, where stunning drives along cliffside roads take you to the chic resort cities of Positano and Ravello. 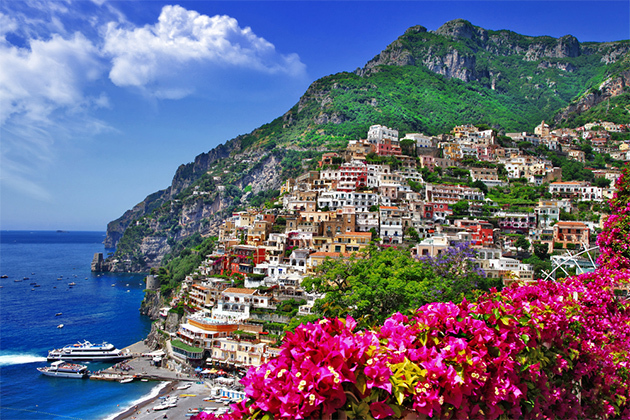 Another option is a jaunt to the island of Capri, where you can view the gorgeous coastline and tour lush gardens. Nice/Monte Carlo/Cannes, France. A coastal drive of highlights of the major French Riviera resort towns, all strung along the coast, offers a good overview. Just beyond Cannes, known for its film festival, is the famed Saint-Tropez, an anything-goes fishing village made up of tiny, ornate streets and colorful pink-tinged facades. In Monte Carlo, don't miss the famous casino, the palace or the Oceanographic Museum. If you'd like to see the French countryside, St. Paul de Vence is a 16th-century village, filled with shops and cafes, that's perched high above the coastline. On a clear day, the views of the Mediterranean are magnificent. Rome (Civitavecchia), Italy. Rome wasn't built in a day, as the saying goes, so get used to the fact that, during a port stop there, you'll only see a fraction of la dolce vita. If it's your first time, a "highlights" tour is a must. Make sure you visit the Vatican's St. Peter's Square and St. Peter's Basilica, the Colosseum and Trevi Fountain. Veterans know that Rome is a fascinating (and walkable) city. Once you've gotten your bearings, you should poke around its winding streets, explore smaller museums and lesser-known yet equally stunning churches, and hang out at a sidewalk cafe at Piazza Navona. Plan ahead. The Med is notoriously crowded in the prime months, so tickets and tours book up fast. If you have your heart set on a particular sight, such as the Scavi tombs underneath the Vatican, for example, make sure you make reservations early. Expect long days. While cruise ships in Barcelona dock conveniently close to the city center, that's not the case in marquee ports like Rome and Florence, where bus or train rides of more than an hour are common. Bring comfortable shoes (cobblestones abound), and rest up on your sea days. Do it yourself. The Western Med is probably one of the easiest itineraries to do on your own, as the cities are already tourist friendly, with plenty of signs to the major attractions. Most of these ports also have private walking tours available, often for far less than money than those you'll find through the ship. Check our forums for more details. Keep an eye out. Unfortunately, pickpockets are extremely common in this region of Europe, particularly in heavily touristed areas; Rome, Naples and Barcelona are especially notorious. 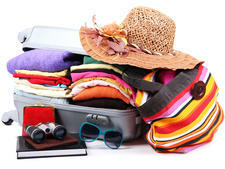 Leave valuables on the ship, keep a firm hold on your purse or wallet, and consider bringing limited amounts of cash. Bring your appetite. There are few pleasures more sublime than experiencing dishes that you've come to know and love at their point of origin. Carbonara in Rome, pizza in Naples, bouillabaisse in Marseilles, tapas in Barcelona, gelato anywhere in Italy, all washed down with relatively inexpensive local wines. This is the region to ditch the buffet and make some mealtime memories.